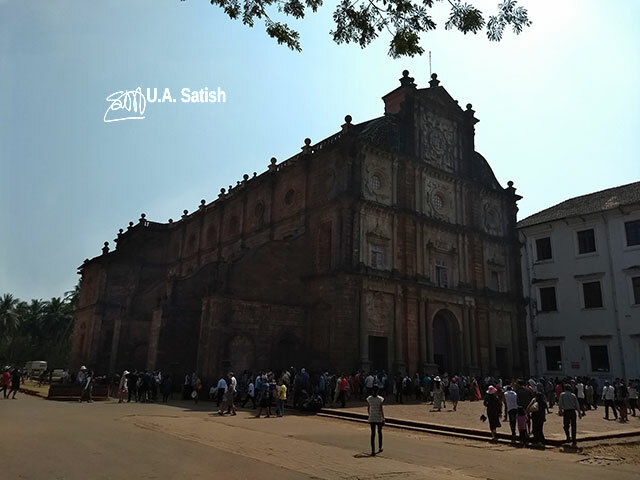 Basilica of Bom Jesus is located in Old Goa and is perhaps the most famous church in India. It is a UNESCO World Heritage Site. The Jesuit church holds the mortal remains of St. Francis Xavier. 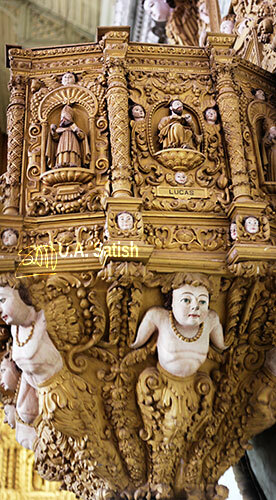 Bom Jesus means Good Jesus or Infant Jesus. Old Goa is a historic city and served as the capital of the Portuguese in India from 16th to 18th century. During Portuguese rule, nearly 200,000 people lived in the city. 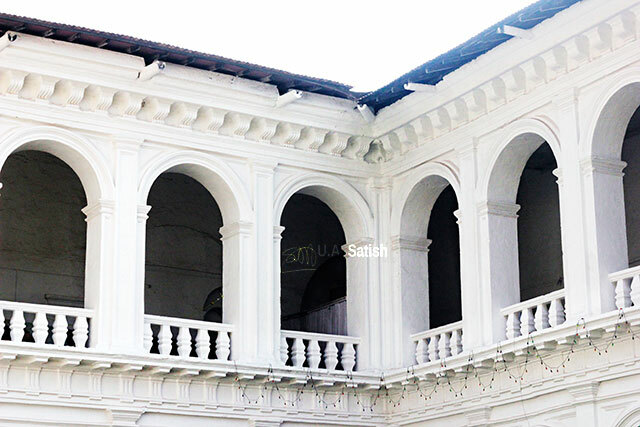 After outbreaks of malaria and cholera, the Portuguese shifted the capital to Panjim. Construction work of the church started in 1594 and was consecrated in 1605. 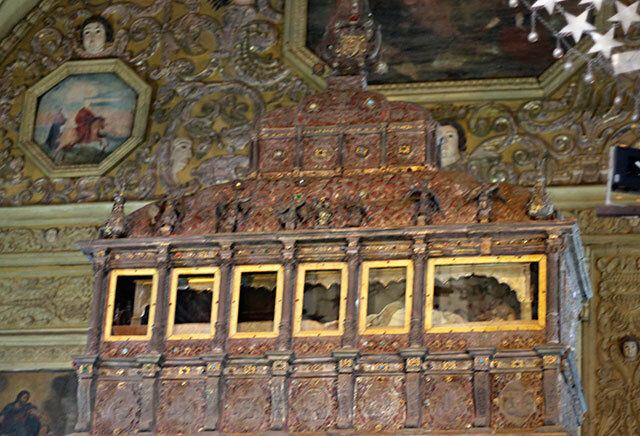 The church holds the body of St. Francis Xavier. He, together with St. Ignatius Loyola, founded the Society of Jesus (the Jesuits). 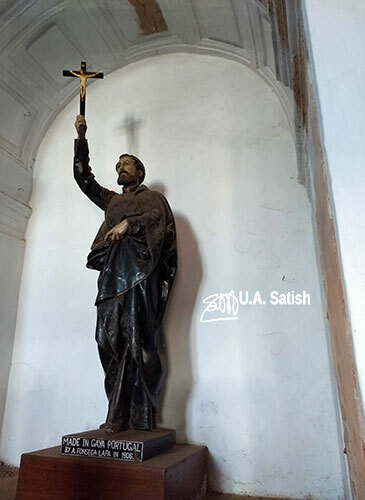 Francis Xavier died in 1552 in Shangchuan (Sancian) Island, off the coat of China. Two years later, his body was brought to Goa. His body is on public display every ten years, on the anniversary of the saint’s death. The last one was in 2014, so the next event will be in 2024. The body is inside a silver casket which is kept on top of a mausoleum. Visitors to the church can see parts of the body through windows on the casket. The big facade employs laterite stone in the construction. The church measures 183 ft (L) , 55 ft (W), and 61 ft (H). The main altar is 54 ft high and 30 ft wide. The pillars are made of basalt stone which was brought from Bassein, another Portuguese stronghold in India at that time.. The interior of the church is remarkable for its simplicity. The main altar holds a large statue of St. Ignatius of Loyola. It shows St Ignatius Loyola protecting a small figure of the infant Jesus. 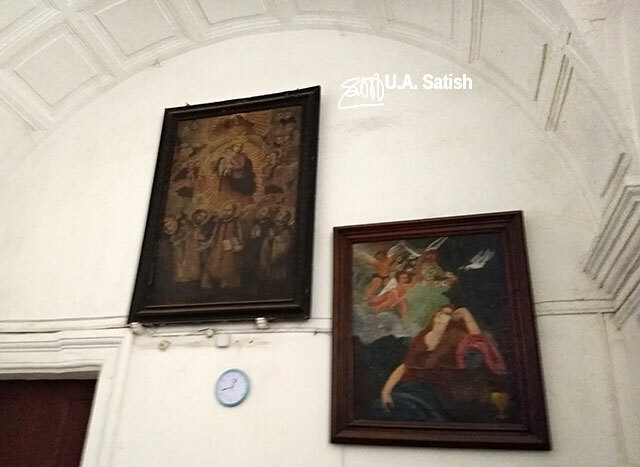 Above him is a representation of the Holy Trinity. To the right of the main altar is the silver casket containing the the body of St Francis Xavier. 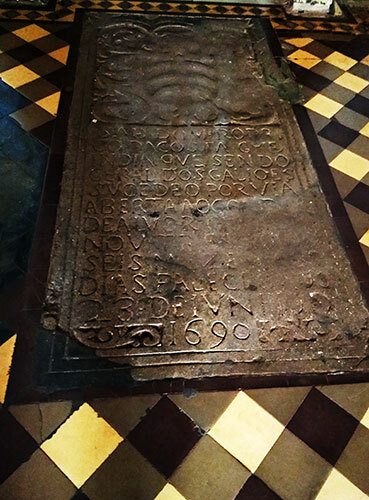 The body was brought to the church in 1622 and installed in the mausoleum in 1698. Cosimo III, Grand Duke of Tuscany, commissioned Florentine sculptor Giovanni Batista Foggini to create the three-tiered mausoleum. Italian Jesuit Marcelo Mastrili designed the casket. By the side of the main entrance is a statue of St. Francis Xavier. The sculptor was Alfonseca Lapa who created it in 1906. The basilica is open on all days of the year. Entry is free. Ample parking is available. Nearest railway station is Karmali ( 2.0 km). Please feel free to leave your valuable feedback and comments in the section below. Did you like my post? Follow me on Instagram, Flickr and Facebook .